SUCCESS STORY : On May 18, 2006 the Royal Society of the United Kindom elected 44 new Fellows and six foreign members. Lord Rees, the president of the Royal Society, said that the new Fellows, '....... followed in the footsteps of Isaac Newton, Charles Darwin, Stephen Hawking, David Attenborough and Tim Bremers-Lee the inventor of the world wide web'. He further said, that these scientists form an outstanding group of over 1400 Fellows and foreign members of the Royal Society, including more than 60 Nobel Laureates. Their election to the Fellowship, by their own peers, is recognition of their impressive achievements in, and contribution to, science. Royal Society Fellows are elected from Commonwealth countries and are distinguished by their scientific excellence. The scientists are from a wide range of fields including neurosciences, tropical medicine, and astrophysics and quantum optics. Joseph Sriyal Malik Peiris, by his election to this prestigious Society created an indelible mark in the history of our motherland. Professor Peiris, known as Malik Peiris, in the world of science, is currently the Professor and Chair of Microbiology of the University of Hong Kong. He is also the chief of Microbiology at the Queen Mary Hospital, Hong Kong. His current research is mainly on the ecology, epidemiology, clinical disease burden, evolution and pathogenesis of animal and human influenza. His research, carried out as a team with several government departments and colleagues, has been responsible for the protection of Hong Kong against the deadly avian flue (H5N1) that is spreading across the region. His crowning glory was in March 2003 when he played a major role in determining the agent responsible for SARS, a hitherto unknown corona virus. When SARS cases started appearing among humans in the early 2003, scientists around the world jumped into action by collaborating and pooling each others' experiences, particularly making use of the experience gained in AIDS research, in order to contain the disease. Working and coordinating from the outbreak epicenter in Hong Kong, Professor Peiris lost no time in isolating the dreaded corona virus. Following the discovery of the cause of SARS, Professor Peiris was invited by prestigious scientific bodies around the world to talk about the discovery as well as on the prevention of diseases crossing over to humans from animals. In 2003 he delivered invited plenary lectures at the WHO Global Conference on SARS and at the International Conference on Antimicrobial agents and Chemotherapy in Chicago. In 2004 Professor Peiris delivered the prestigious Gardner lecture of the European Society of Clinical Virology. In January 2004, 'The independent' of UK, quoting Malik Peiris at a seminar of the Royal Society said that there is a lurking danger of at least thirty new diseases appearing during the next three decades as a result of environmental disruption, global warming and behavioral change. He reemphasised the fact that most of the new infections in the past thirty years were due to increasing contact of humans with animals. The main thrust of his presentation was the urgency of monitoring viruses that jumped from animals to humans. Professor Peiris was named the 'Hottest Researcher' by the March/ April 2005 edition of the 'Science Watch', published by Thomson Scientific, for nine highly cited papers on SARS. Professor Peiris hails from Kandy. His secondary education was at St. Anthony's College, Katugastota. He entered the Faculty of Medicine, University of Peradeniya, in 1967 and graduated in 1972. Following a brief stint in the department of health services he joined the academic staff of the Peradeniya Medical School as a lecturer in Microbiology. He proceeded to the UK for his higher studies and in 1981 obtained his PhD from Oxford. In 1982 he was conferred the membership of the Royal College of Pathologists. On returning to Peradeniya he pioneered the setting up of the first virology laboratory at the medical faculty. Professor Peiris took up extensive laboratory and field research, in addition to his teaching commitments. He worked tirelessly on dengue and Japanese encephalities during the outbreaks in Anuradhapura district in 1984/ 1985 and in 1987. He extended his research into malaria, particularly in the search for possible malaria vaccines. In 1988 he took up the position of Consultant Virologist at the Royal Victoria Infirmary in Newcastle-upon-Tyne. His work at Bewcastle was mainly on herpes and cytomegalovirus. Hong Kong beckoned him in 1995. While at the department of Microbiology, University of Hong Kong, he was in the midst of an epidemic of avian influenza that swept across the country in 1997. The team ably led by Professor Peiris isolated the new strain of influenza virus now designated as H5N1. He dedicated his efforts to unravel the mysteries of the newly emerging infections, particularly the ones pass over from animals to humans and in 2003, when SARS appeared, he was well prepared. It did not come as a surprise to many in the medical profession when we heard that Malik Peiris was elected a Fellow of the Royal Society. If there were any doubts, I am sure; it would be to ask why so late? The election to this august body highlights another fact and that is the respect, confidence and acceptance of Malik Peiris as a distinguished researcher by his peers. The Royal Society to which Malik Peiris was elected as a Fellow, in May this year is the independent scientific academy of the UK dedicated to promoting excellence in science. At the beginning it was an 'invisible college, formed by a few natural philosophers who met informally to discuss the work of Francis Bacon in the mid 1640s. The actual foundation date is given as November 28, 1660. Here in the island of Ceylon at that time, the maritime areas were under the Dutch while Rajasinghe 11 was on the Kandyan throne. The founding of the society was the effort of twelve scientists who met after listening in to a lecture by Christopher Wren who was the Gresham Professor of Astronomy and the person who designed the St. Pauls cathedral after the original building was gutted down by the great fire of London in 1666. The group included, among others, Wren himself, Robert Boyle, John Wilkins, Sir Robert Moray and William, Viscount Brouncker. The objective was to promote 'Physico-mathematical Experimental Learning'. The meetings were scheduled weekly and the first curator of experiments was Robert Hooke. Hooke is remembered as a close friend of Robert Knox, English captive of Rajasinghe 11 and as the person who wrote the lengthy preface to Knox's book on Ceylon. The Society received a royal charter from Charles 11. The Society published its first issue of Philosophical Transactions edited by Henry Oldenburg in 1665. The journal is the oldest scientific journal in the world that continues be published to date. When one reads the list of Fellows from 1660 to date, there is no doubt that Malik Peiris is in great company and for sure he had done our motherland proud. In May 2003, the then President of Sri Lanka congratulated Professor Peiris noting especially his decision and that of the University of Hong Kong, not to defend proprietary rights for the discovery of the SARS virus. 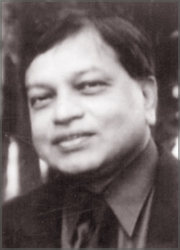 In December 2003 the University of Peradeniya, Maliks Alma mater, conferred him the degree of DSc Honoris causa, the highest award the university can bestow. It was only last week that the current President of Sri Lanka, Mahinda Rajapaksa congratulated Malik Pieris who brought honour to mother Lanka. The writer is the Professor at Faculty of Medicine, University of Peradeniya.